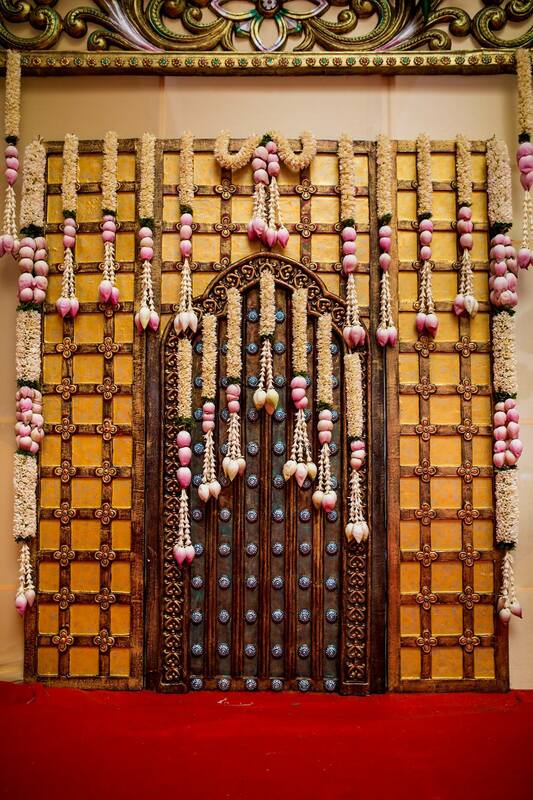 From a shy, baby-pink bud, the lotus flower blooms into a wonderfully rich fuchsia in the most charming yet subtle way. 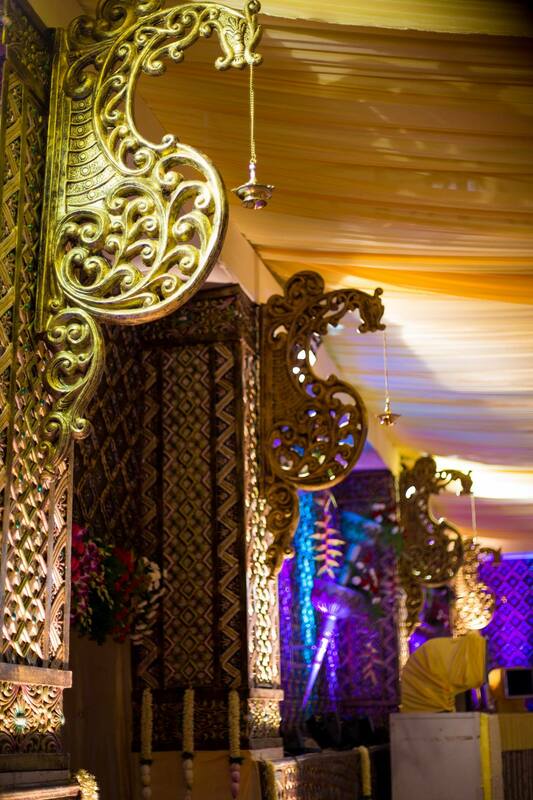 The main décor theme in Lotus Lustre was the glorious lotus flower, a pretty common element in the flora and fauna of two countries, India and Thailand. 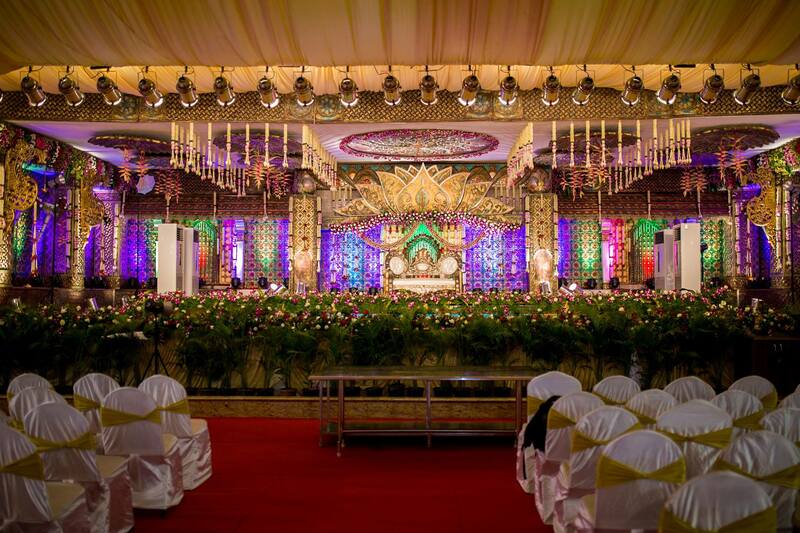 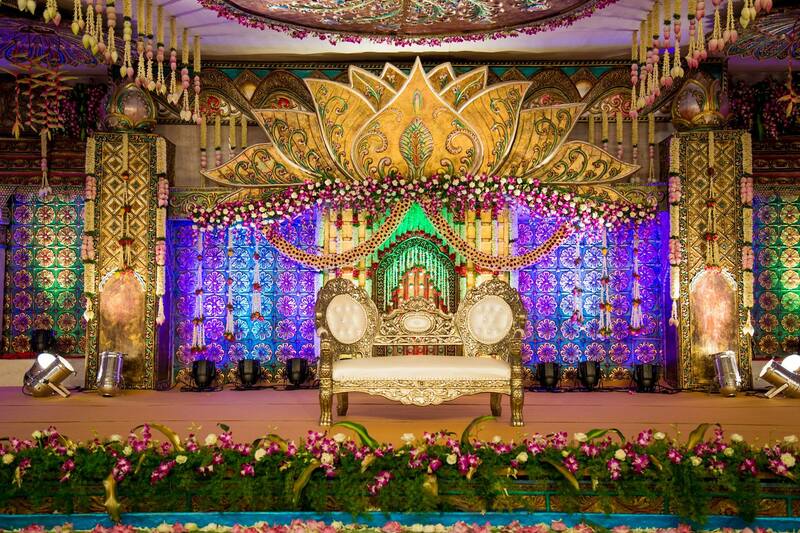 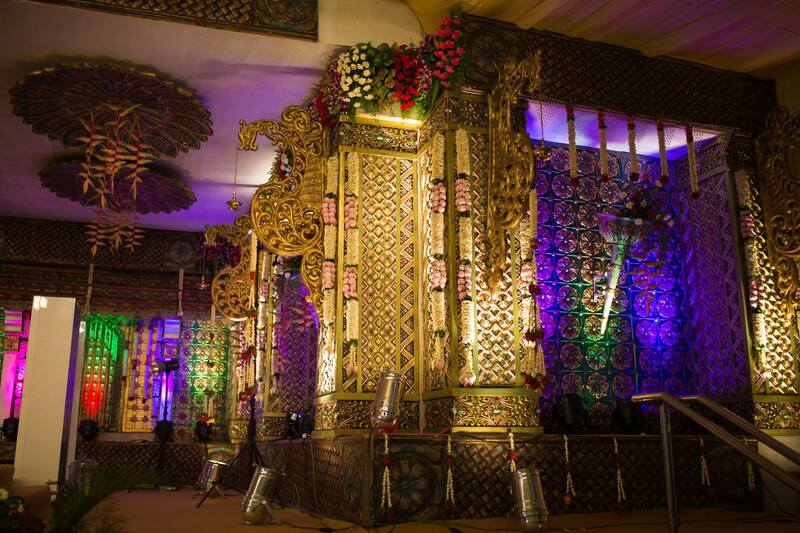 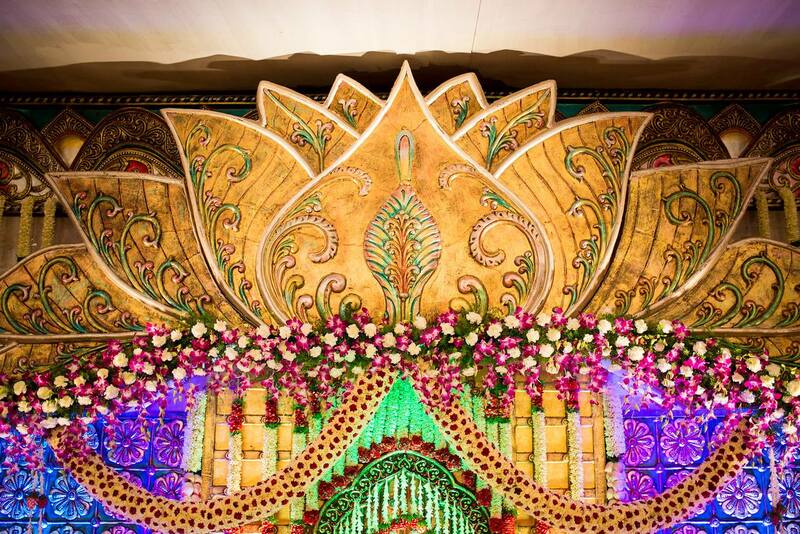 Our interpretation of this lotus flower resulted in this huge Indo-Thai motif affixed atop the stage. 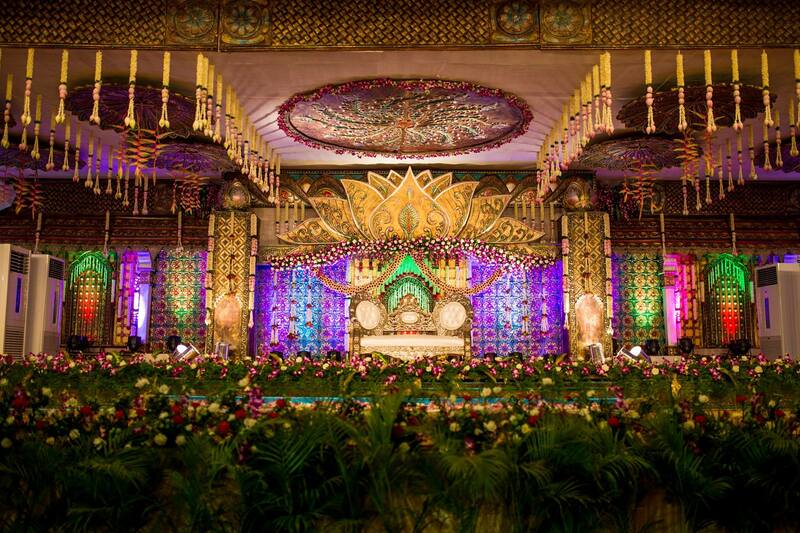 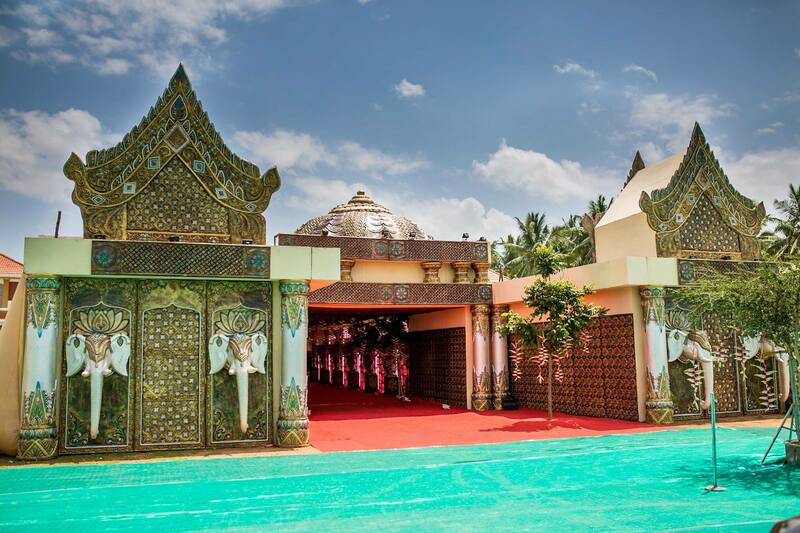 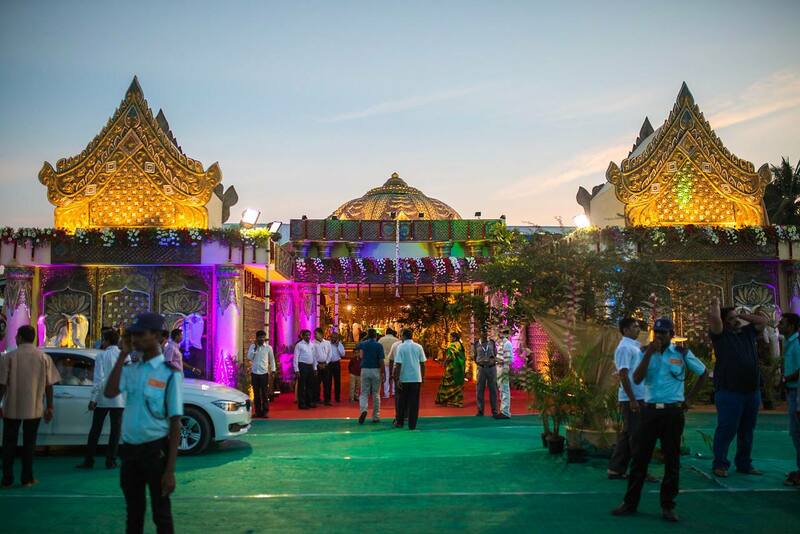 The lotus artefact covered the entire stage and the false ceiling was in alignment with this giant lotus, necessitating us to build a triple layer elevation! 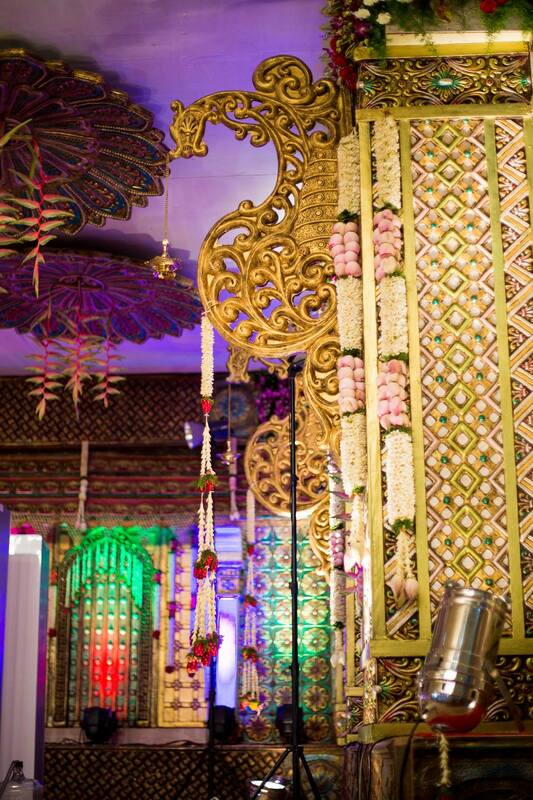 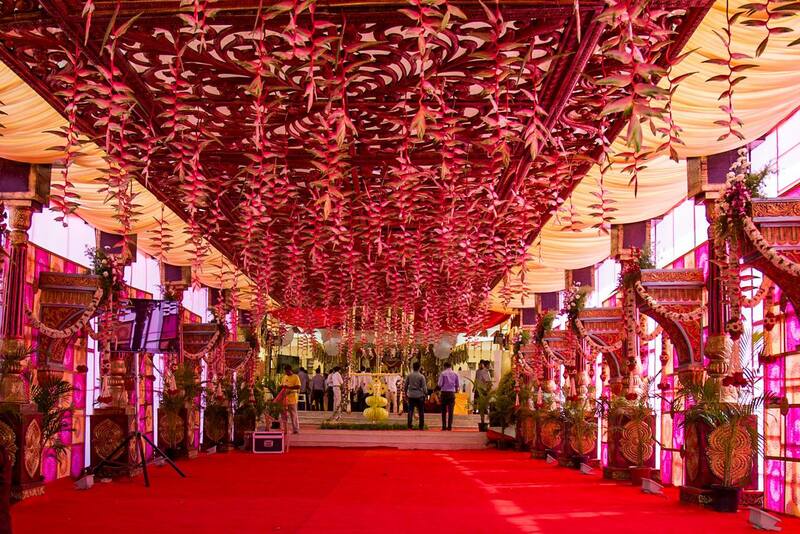 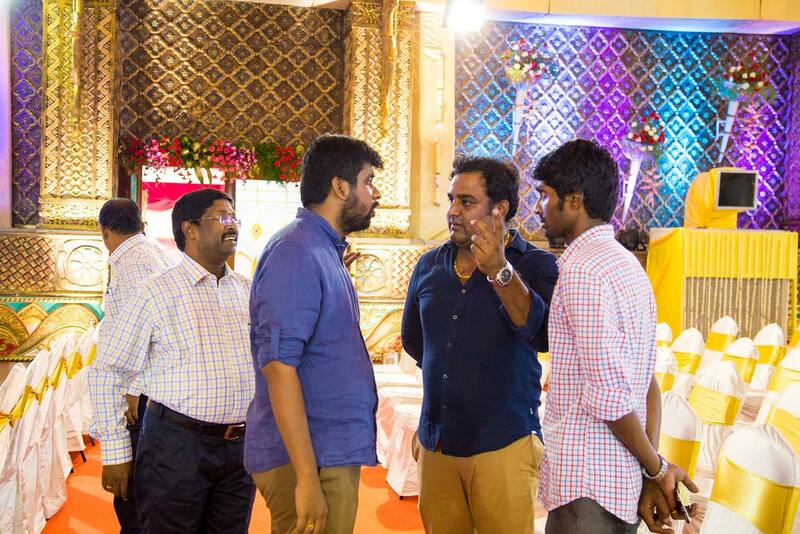 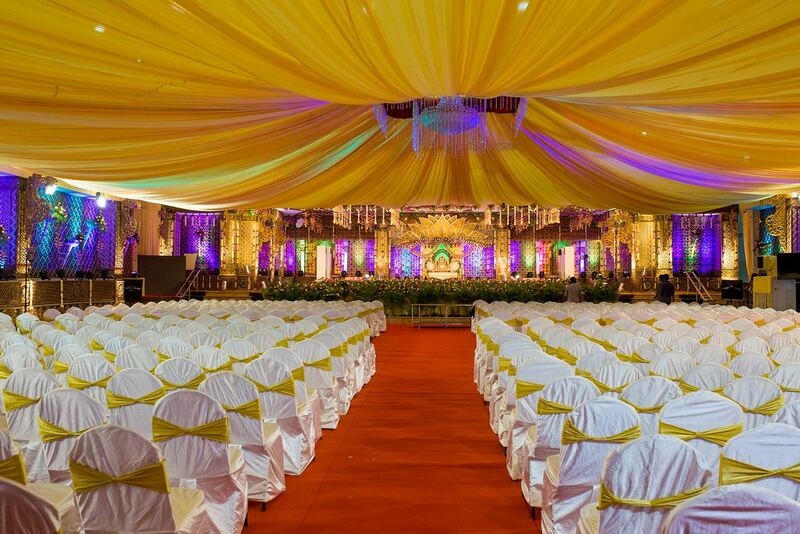 This being a Chennai Silks wedding how can we forget the wonderful textiles? 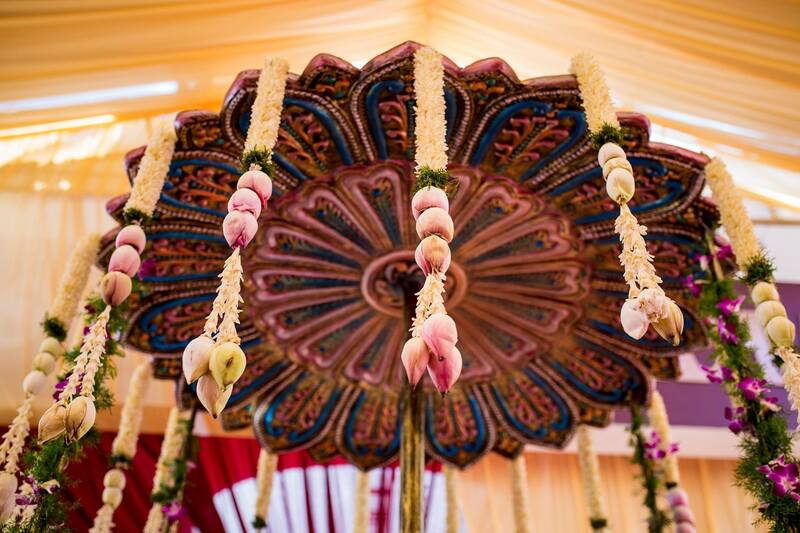 So, the rest of the ceiling was covered with colorful fabrics inspired from the Indian textile print forms like paisley, bandhini and warli work. 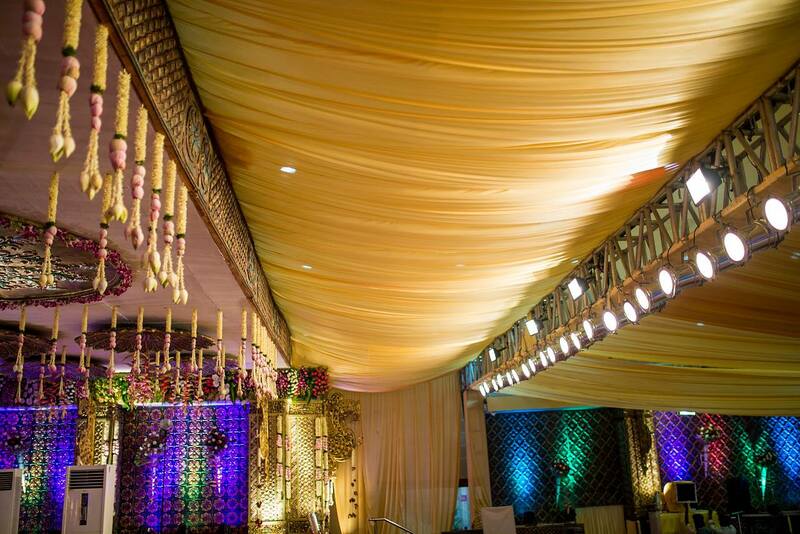 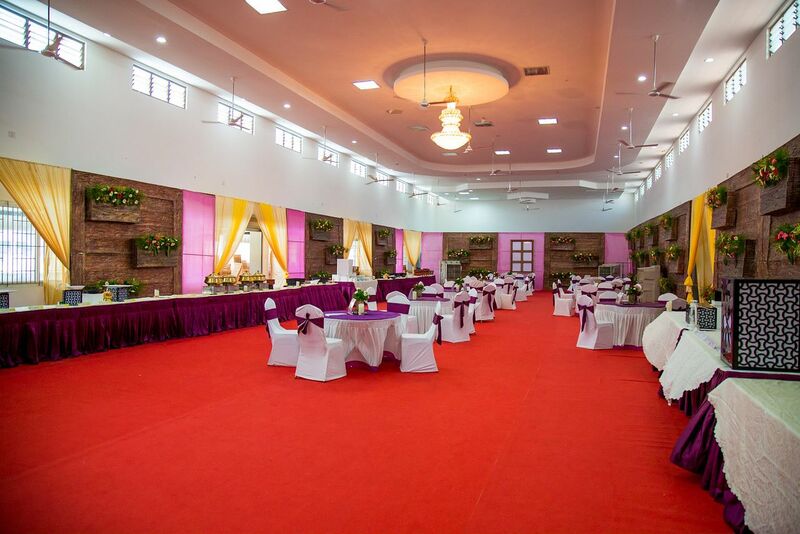 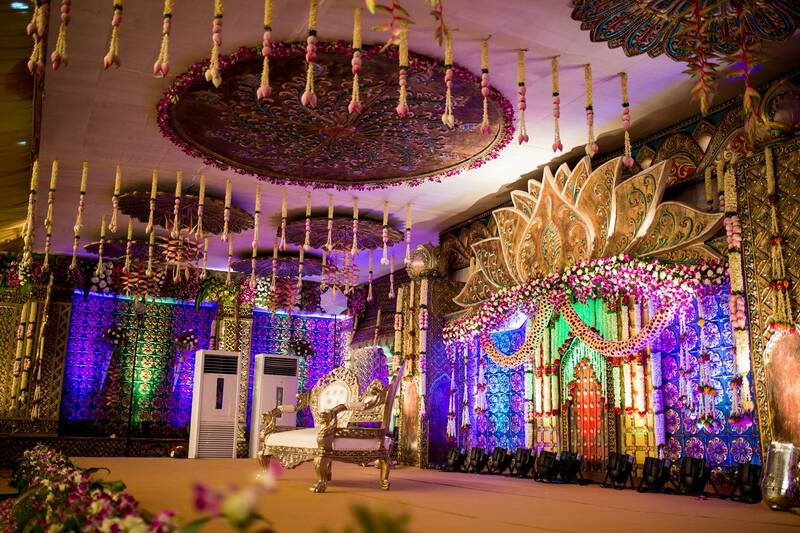 The hall was instantly given a lavish makeover with these rich fabrics! 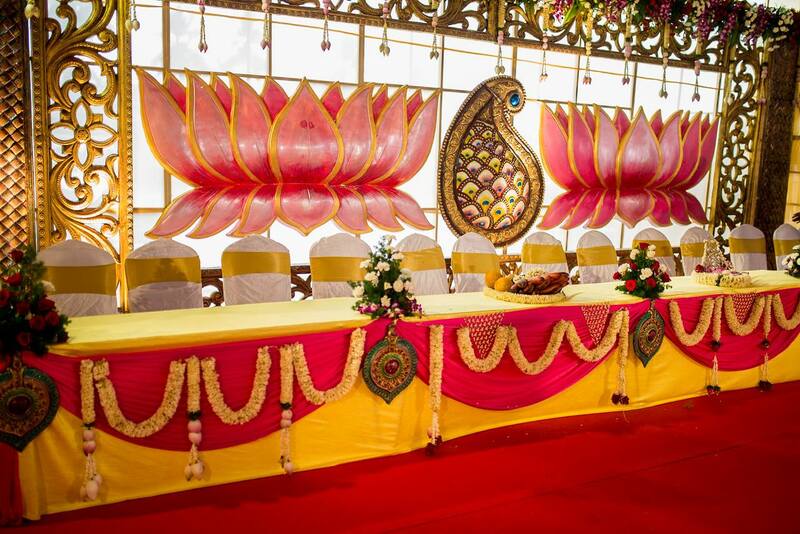 What is a lotus theme without a lotus pond? 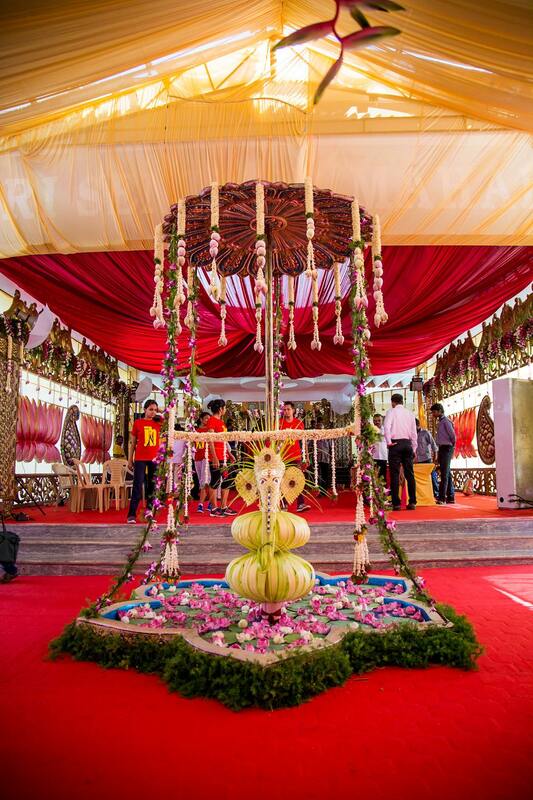 We created a lovely artificial pond right in front of the main stage to give the décor a more authentic feel. 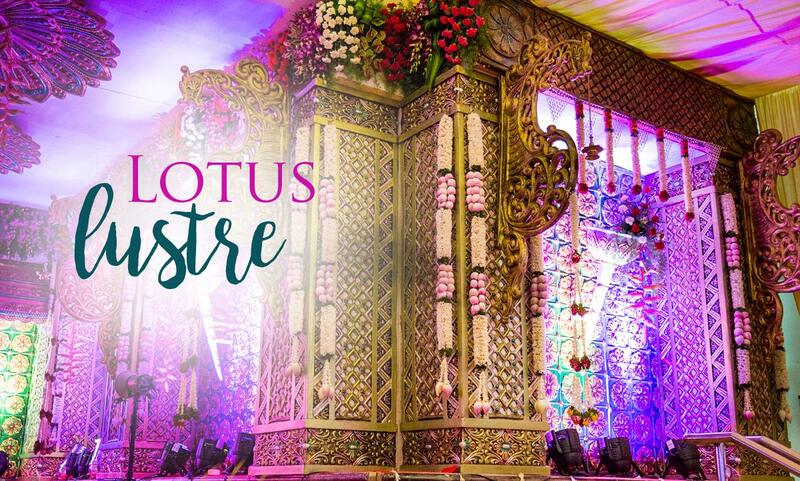 With only 48 hours in hand and a massive idea in our heads we turned to our hard work and craftsmanship skills to complete the Lotus Lustre successfully! 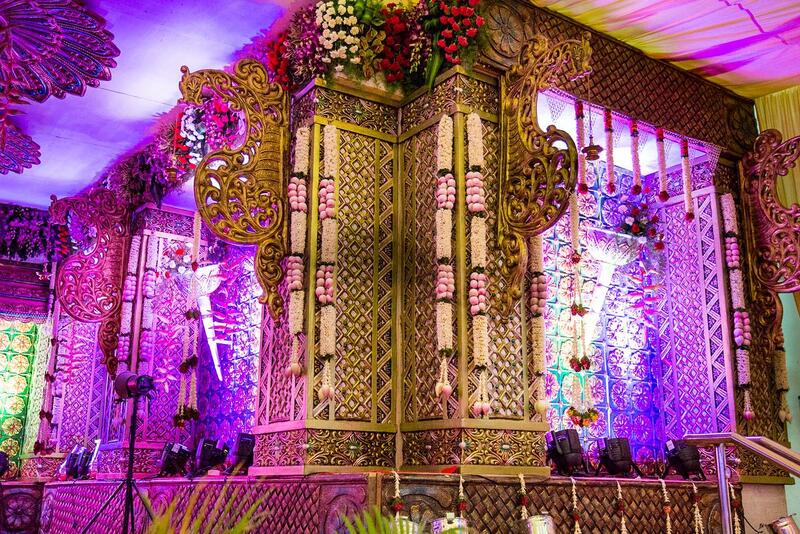 And our efforts bore fruits in the form of appreciations and encouragements, the best of which was the happiness in the bride and groom’s faces. 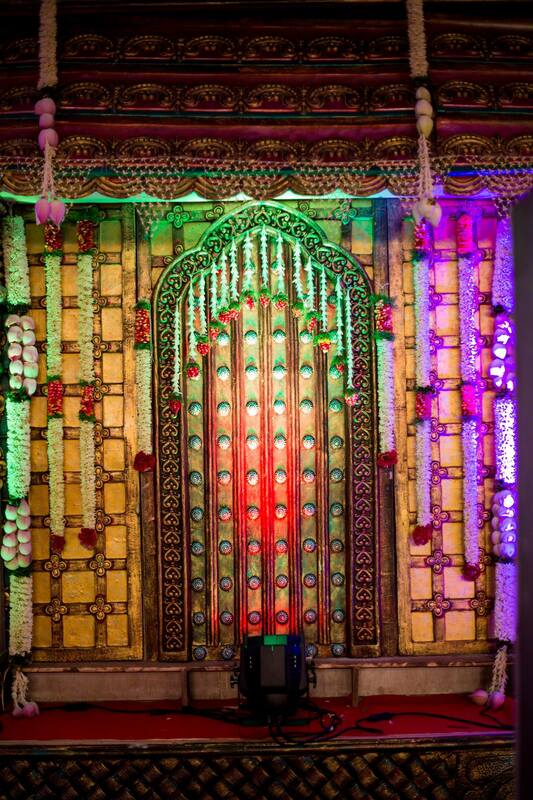 Our work there was done!